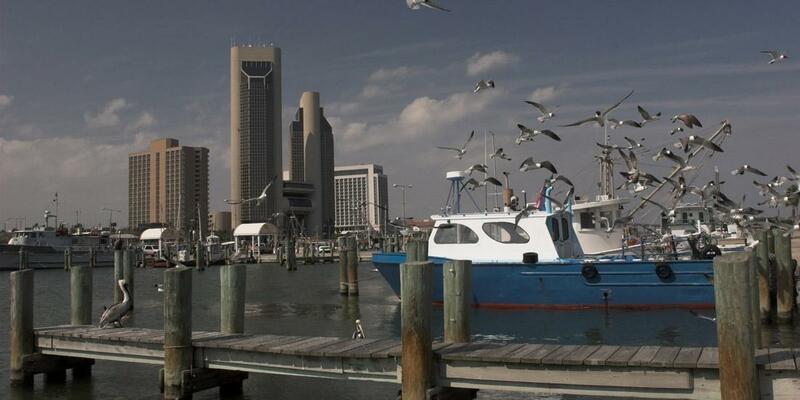 What would you recommend to anglers fishing in Corpus Christi, Texas? Lure and bait fishing in the shallows seems to be the ticket for speckled trout, drum, and flounder. The people are wonderfully friendly and helpful. We hired Laguna Lure Fishing with Captain John and couldn't be happier! Find a good fishing guide to save you time and frustration in trying to fish the Texas Gulf, especially in the Corpus area that has soooooo much fishable water. We were a little early for the Reds (later in May would have been better) on our May trip. If you can, go for a charter: those guys are going to really know where the fish are and the best way to catch them! With all of the places to go fishing, it can be a little overwhelming, so it helps to have someone who really knows these waters. A great charter for the bay is Team Liberty Guide Services, Captain Jack really knows his stuff! do not expect to catch crabs in March. Also maps of the local area would be very helpful, they do sell a hook and line map but it is somewhat costly. If you can, get a guide. If you can't, talk to others that are on piers, working the shores, talk to the guys at the bait shops. They're a friendly bunch down there. This was our first time fishing in Corpus Christi. All our time here was pretty windy. Be sure you understand the different options in terms of target fish and sign up with someone who really understands going after those fish. Don't wait book your trips now.. You won't regret it my wife and i booked with titeline/ Captain Anthony guide service we had great time. Don't wait, schedule a good guide like Captain Anthony Deleon and you will catch fish and have a good time on the water I promise. Don’t bring bananas and put sun screen on before you get on boat. Sunscreen is bad for the live well (fact that I learned real quick). Inshore or offshore is great fishing during this time in Corpus Christi! Both provide a good variety of fish. Our trip was unique weather wise, overcast and windy & in coming storms. We took more than needed but never opened that backpack. Talk to people that have fished the area with different guides. cnat do much about windy conditions but I dont have the luxory of picking trips based on weather/tides, etc. Just book a day trip , you'll be happy you did ! We booked a half a day it was sad hitting the bank , we deffinetly didnt want to leave ! May is a great month, and in the past, I've limited on trout, reds and drum in the same day. I believe Hurricane Harvey may have influenced the fishing this year. Cant go wrong with Cap. Dale! He is extremely knowledgeable and will make anyone feel comfortable. Bring sunscreen and clothing to protect you from the sun then relax and have some fun! This was my two youngest boys first salt water fishing trip and it was very family friendly. I recommend bring the kids and just have fun. Its defintly windy this time of year and unfortunatly a littler cooler than expected but you cant control Mother Nature. Go fishing and enjoy. Let your Capt know you want to catch a Red Fish. The fight of a Red makes fishing what it should be, exciting! Spray sunblock, not rub on, lots of water, and if youre looking for more fishing after your guided service, go to the Packery Channel bridge. I think anyone looking for a great time fishing should book a guided half or whole day trip with Capt. Jack Cooper. You won't be dissapointed. With such a vast area to fish, I would recommend a first time angler in this area hire a guide to help educate on the areas and technique for a successful day. Bring lots of water to keep hydrated and sunscreen. You will get a lot of exposure to the sun, so try to bring a hat to protect yourself from the sun. plenty of spots to drop anchor & try; make sure you have an experienced captain very familiar with the area, like Fil Cortez. Watch the weather in advance. Check local papers for fishing reports. Visit marinas, talk to the locals. Don't let the wind scare you off. Waters are plenty fishable in 15 kts. Light weight, full rain gear is a plus. There are lots of fish available and it should only get better as spring progresses. Dress in layers and be mindful of the wind direction and speed. Use baits that work with theconditions you are fishing in and have fun! If your wanting a good time fishing book captain Pierre with south bound fishing chapters.